We’ll show you a list of puzzles on a specific topic (from “100 Greatest Books” to “FIFA Ballon d’Or Winners” and all kinds of things in between). 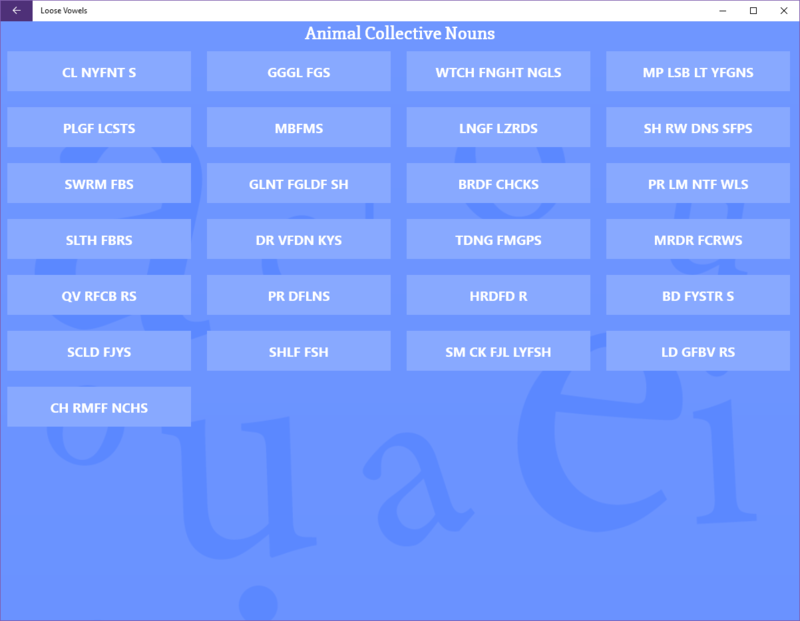 The catch is that we’ve taken the vowels out and moved the spaces around – all you have to do is work out where they should go! 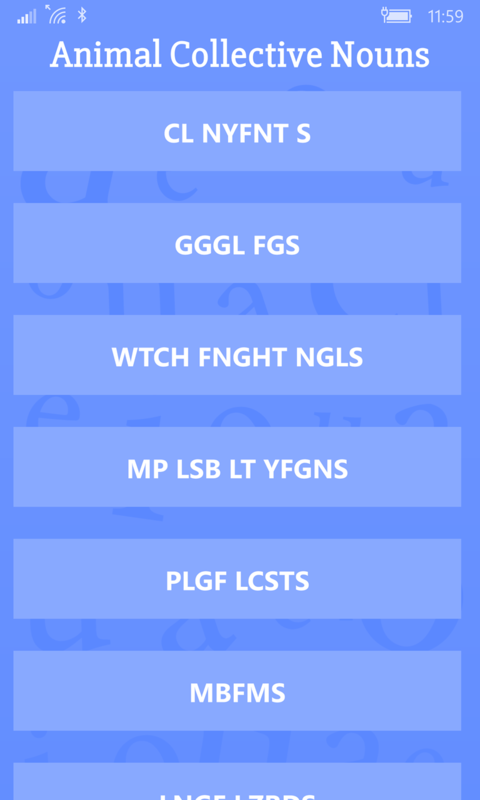 Could you guess that “THHT CHKRSG DTTHGL XY” is “The Hitchhiker’s Guide To The Galaxy”? 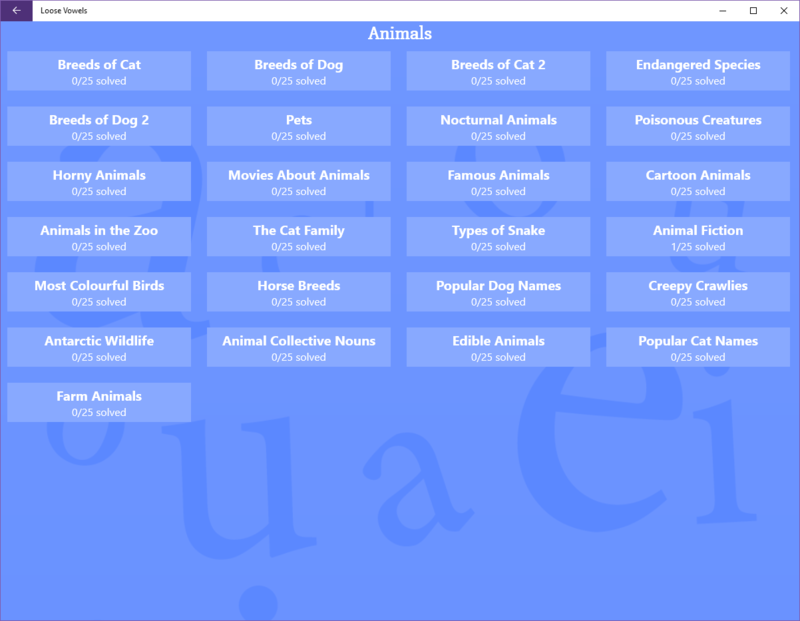 Loose Vowels is free to download on Windows 10 (desktop, tablet and mobile) – it includes a free pack of puzzles (25 “Animals” topics containing 25 puzzles each – 625 in total! 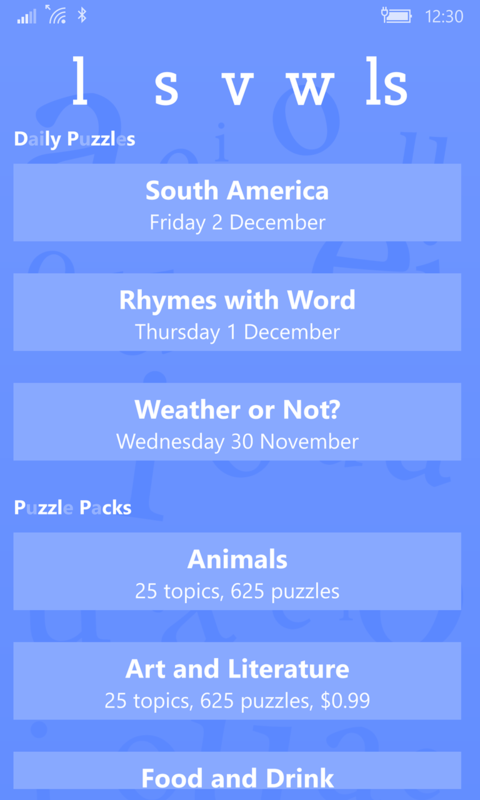 ), and there’s a free daily topic every day (containing 10 puzzles with a cryptic title). Finished all of those? 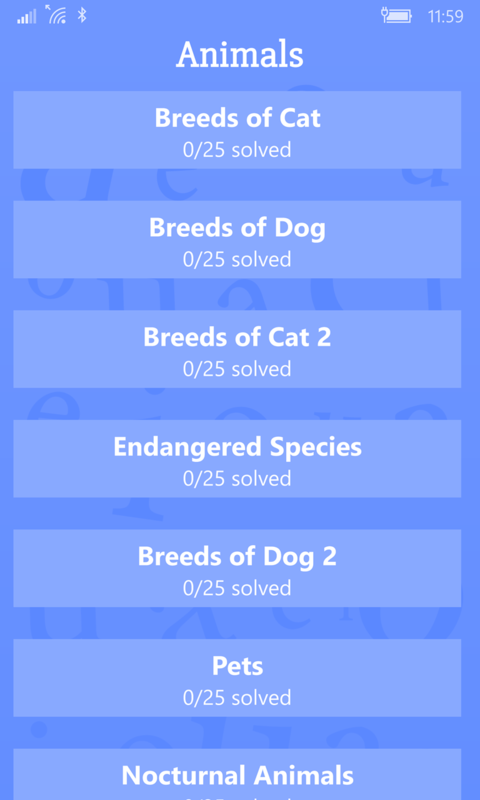 Extra puzzle packs are available as an in-app purchase – each with another 625 puzzles for only £0.79 ($0.99 / €0.99 / local equivalent). Available now on Windows 10 for desktop, tablet and mobile. Want to get in touch? 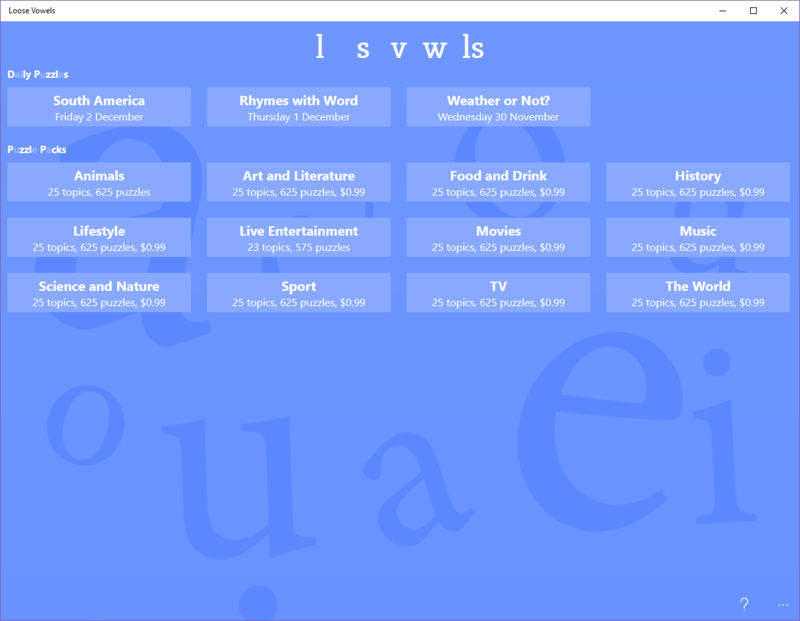 Visit us at www.loosevowels.net.